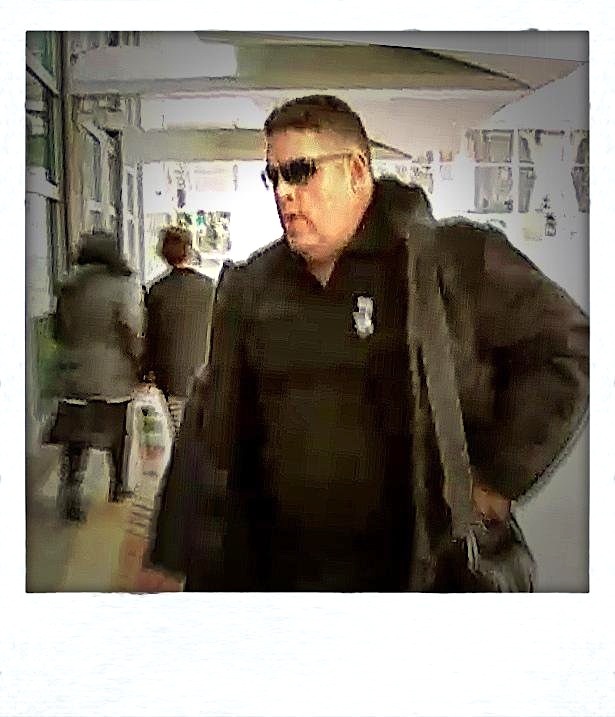 This is a photo (right) of Cameron Slater arriving at the Wellington venue for one of the inquiries into his involvement in a conspiracy sparked by the revelations of Nicky Hager’s book Dirty Politics. 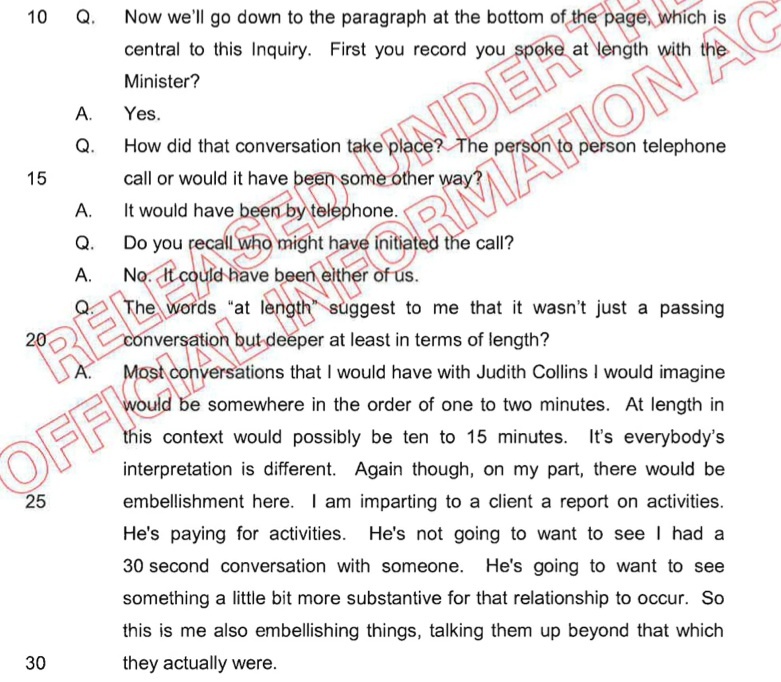 Over several hours on 24 October 2014, Chisholm inquiry records show, Slater Jnr comprehensively walked back from claims and assertions he had made, and a narrative he’d spun through dozens of communications relating to family friend Judith Collins (then Minister of Justice) and what she had supposedly told him. No doubt it was a time of great emotional and mental stress for Slater Jnr. It must have been awful to have all those lies come out for examination. 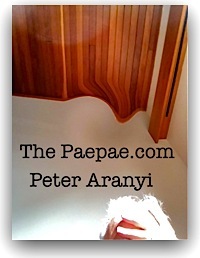 That stress – and the feeling that he’d been abandoned or cut off by elements of the National Party and the John Key government establishment which had worked so closely with him – may have been partially responsible for some bad judgements he made, and his efforts to get some kind of retribution against those he imagined were responsible for his exposure, and (in his mind) for Mrs Collins’ forced resignation. Juana Atkins displays her siege mentality, but besides that, does the phrase, ‘Dishes it out but can’t take it’ spring to mind? How do you say “I made it all up, Judge”? I’ve experienced before, and mentioned it here somewhere, how readily Cameron Slater has deployed the ‘Oh, I was lying when I said that’ defence. The most memorable occasion, for me, was in relation to Slater’s admission (to my face) then later slippery denial, that he used fake social media profiles to target and wind up his political enemies. Either lying then, or lying now. Pick one. 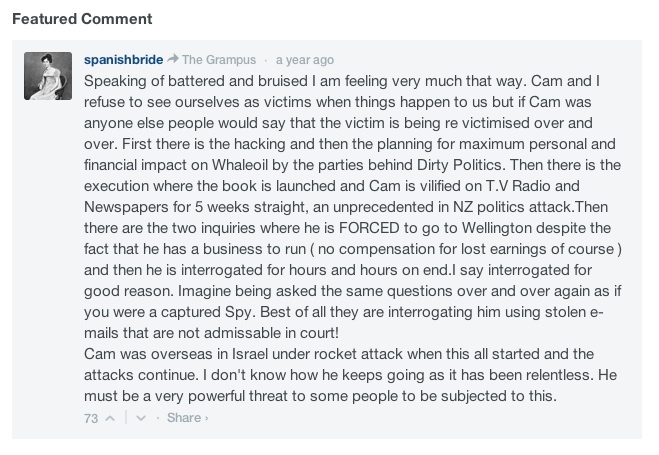 I may be mistaken, but I detect the same approach in sections of the transcript of Cameron Slater’s witness interview/testimony to the Chisholm inquiry into Allegations concerning Judith Collins. 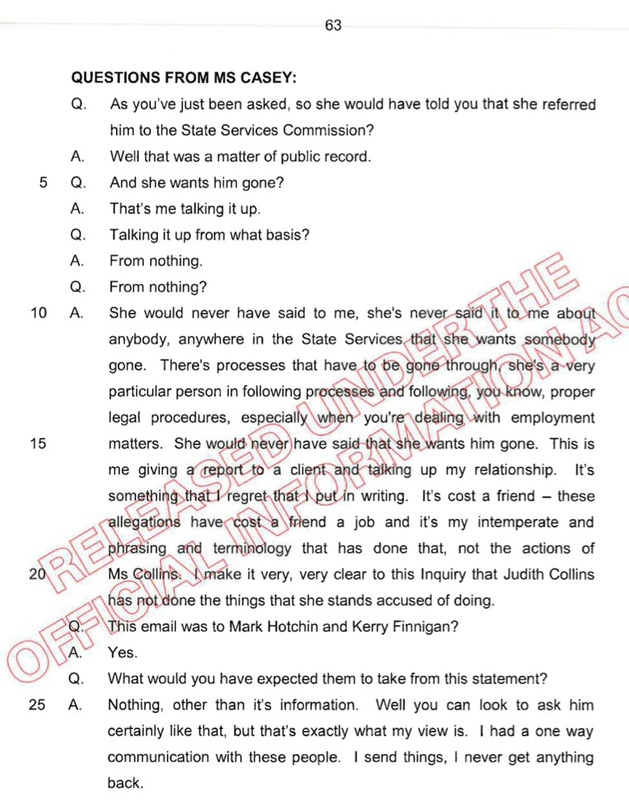 You can read/download the whole document here: [Source documents] Judith Collins Lester Chisholm Inquiry evidence, along with other evidence to the inquiry. It’s clear from reading Lester Chisholm’s report (available at that same link) that Mrs Collins’ overt denial of any knowledge or participation in the Carrick Graham-orchestrated scheme to undermine the head of the Serious Fraud Office Slater (or “rebalance media debate” as Graham would say) were given considerable weight. On the other hand, as we discussed, Slater Jnr’s evidence came to be regarded by Lester Chisholm as requiring “great caution”. Not credible. 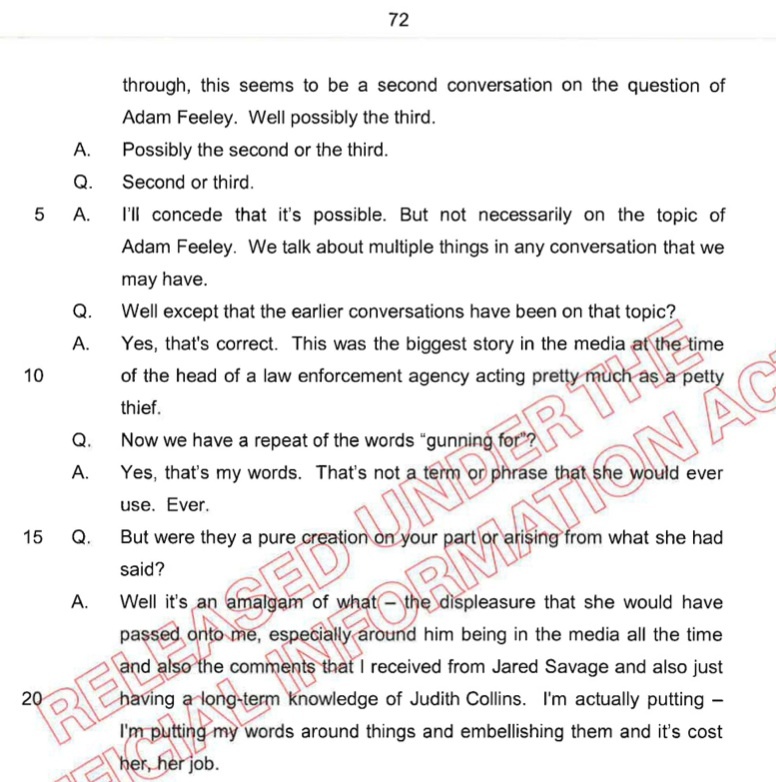 Below are extracts from four key pages of the 127 page transcript where, it seems to me, Slater Jnr is gently led to admit he lied about his contact with and conversations with Judith Collins. See what you make of them. All pretty damning stuff as far as Slater Jnr’s credibility and reliability are concerned. Carrick Graham and another Slater Jnr fantasy partner Simon Lusk have both claimed, on the record, that Hager’s book Dirty Politics and the resultant fracas has been ‘great for business’. I have to wonder: Oh really? Because it doesn’t seem to have been so great, so far, for Slater Jnr, judging by the urgent appeals for donations from the diminishing number of cult members over at the way loyal website. So, Carrick and Simon might be um, rolling in cash (cough) but their poor puppet Slater Jnr is, apparently, not finding the wages of spin quite so palatable these days. If he ever was. Maybe he could get an honest job. Does Mrs Collins need a press secretary? ” I cried wolf- every day I cried wolf- and everyone believed me- but now they all think I’m a liar!!! I cried ‘WOLF’ again… and nobody came! There were real wolves eating my lambs, and nobody came.